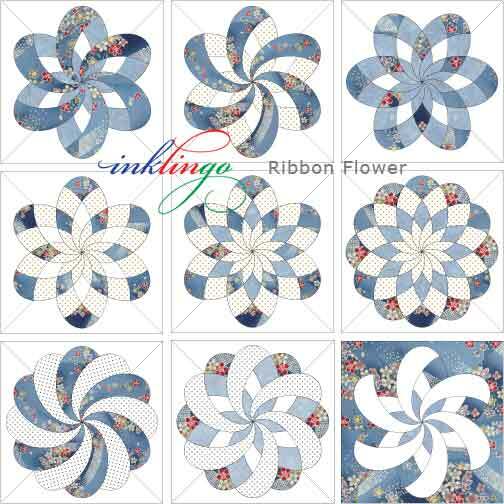 Templates to print on fabric for Ribbon Flower quilt blocks. 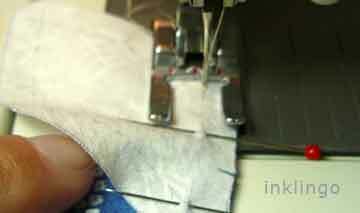 Print hundreds of shapes on fabric (or on paper for templates) in a few minutes and start sewing! 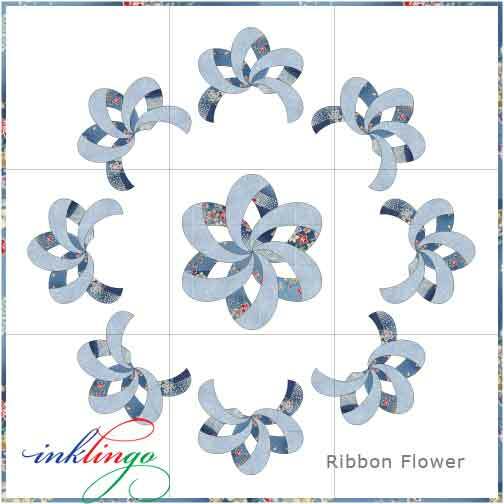 This Inklingo PDF includes the shapes for the 12 inch block, plus . . .
. . . the mirror image and . . .
. . . a bonus shape for variations and . . .
. . . edge shapes, so the entire block can be pieced, if desired. 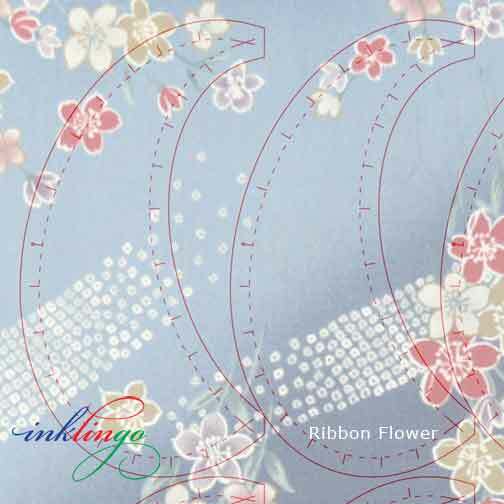 Instructions for appliquéing Ribbon Flower to a background are also included, so you can design your own variations. These shapes are endlessly fascinating. I have shared many more examples like these on the Inklingo Facebook page in the past few weeks. I hope you are following there. 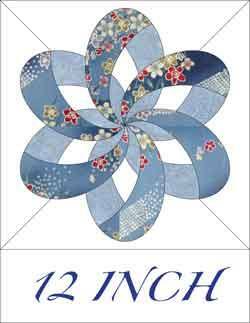 I suspect most quilters will hand piece to get a perfect intersection in the center but there are good opportunities for machine piecing some of the seams. I combine hand and machine for a "hybrid" to get the best of both worlds. 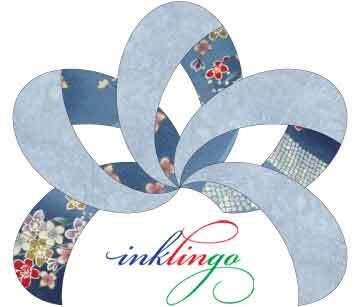 FUSSY CUTTING See the articles on the All about Inklingo blog about fussy cutting with Inklingo. 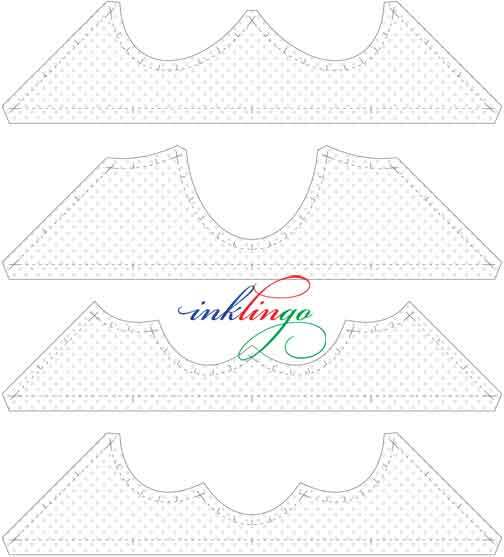 Instructions for appliqué are included. 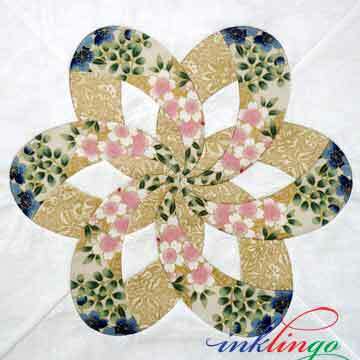 Design your own variations with whole or partial blocks. 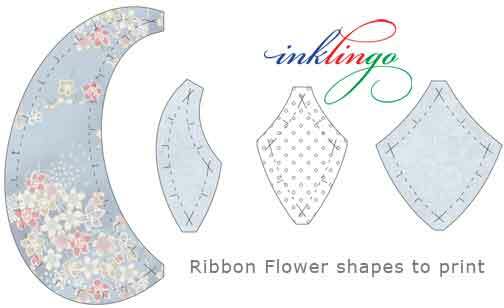 There are several new articles on the blog about designing and sewing these shapes! 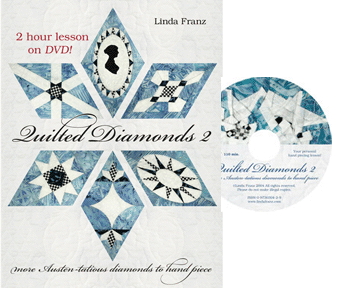 The two-hour hand piecing lesson in Quilted Diamonds 2 is like taking a private lesson from me. The beautiful book and DVD are available again. 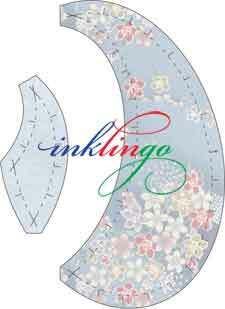 IMPORTANT If you are new to Inklingo, I recommend starting with the FREE Diamond Triangle Square shape collection.